1.With This Plugin You Add Blocket Ip And Plugin Automatically Redirect To Another Site. 2. You Can Change Redirect Page In Configuration. Checks IP&apos;s in DNSBLs, if listed, deny their registration. 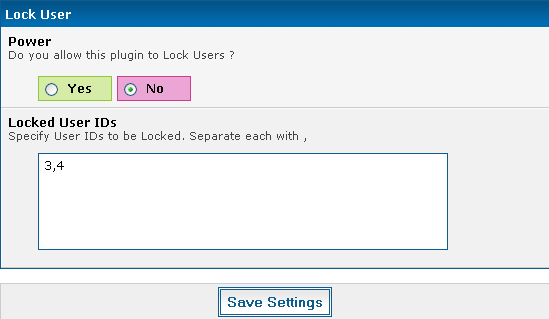 This plugin is useful if you want to Lock a User from accessing your forum. So instead of banning, you can lock those users to deny there access.